March Break is almost here - just a few more weeks. I always look forward to having the kids off school and at home with me! I like to plan a few activities to do with them, and then we also just go with the flow for some of the time as well. 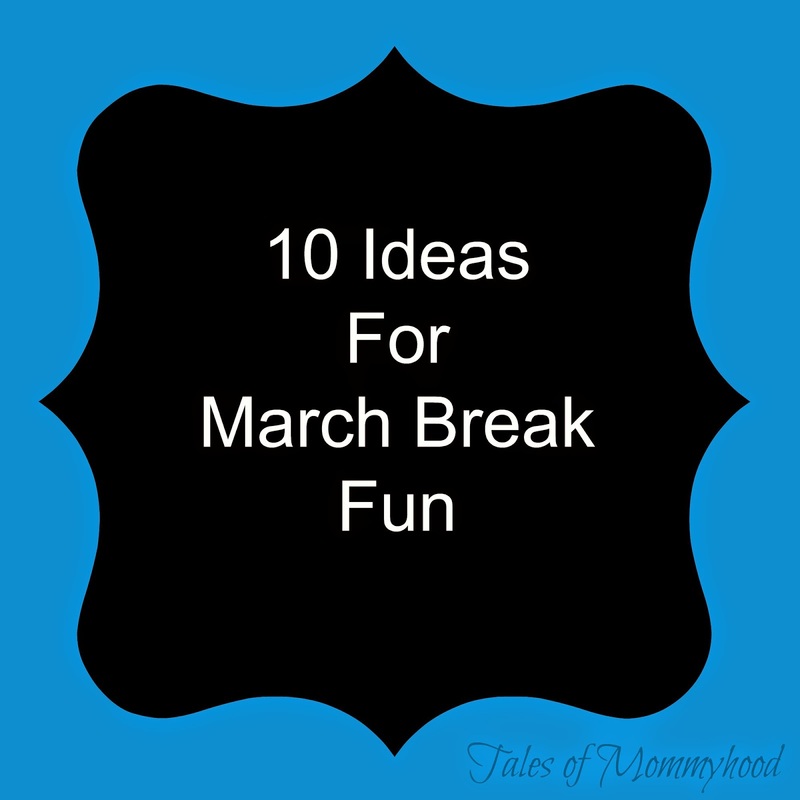 I have put together some ideas to help you keep the kids busy (and yourself sane!) while they are off school. Build a fort in your living room, snuggle together and write a story, read some books or take a nap together! I am hoping to have some one on one time with both of my kids during the break, it's so rare that we have a chance to connect on our own, and they will need some time apart as well. What type of things do you do with your kids when they aren't in school? My kids get their break after Easter, so I'm hoping the weather will have warmed up some by then. I'm pretty sure they are going to my parents' house, since I don't get the time off from work. They get lots of play time and a trip to the movies when they're down there. sounds like a lot of fun for them! These sound like so much fun! I love baking with my niece!